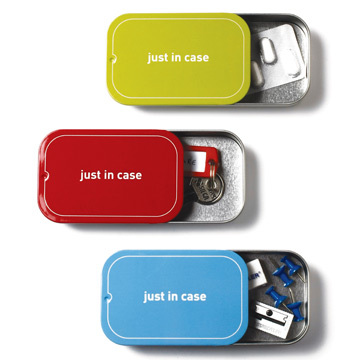 Just in Case Magnetic Box. Clips, keys or whatever metal you want to save, do it in this box, do not lose it. Magnetic box for those little things you need handy. Ideal for office, always looking for clips, keys of the drawer ... You know that there are not going to escape. Available in several colors: red, blue and green.